The overall Chinese market contracted by 9.7 percent in the quarter, but Apple declined at about twice that pace, research firm IDC said in a Monday report. 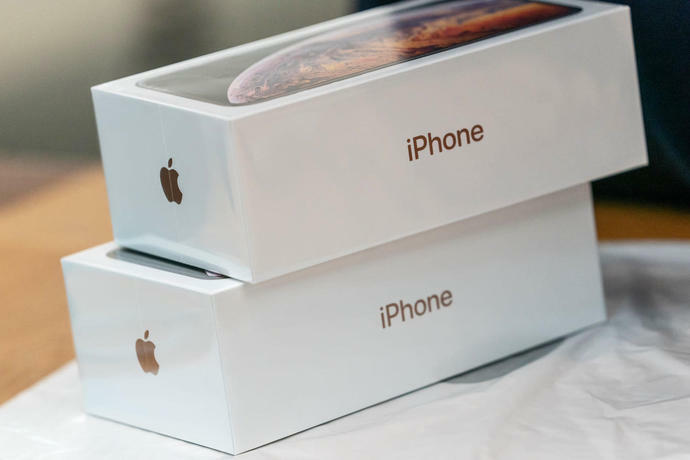 A slowing economy, lengthening replacement times and the iPhone's hefty price tag contributed to the U.S. giant's decline in China, IDC said. 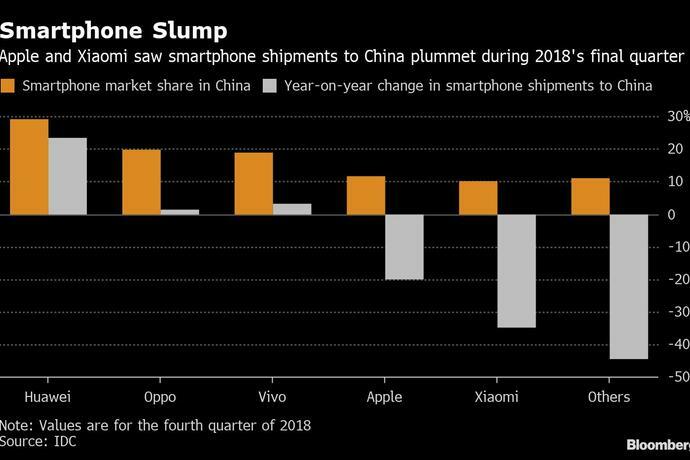 Xiaomi Corp. fared even worse in the final months of last year, when unit shipments plunged almost 35 percent, the consultancy estimates. Smartphone labels from Apple to Samsung Electronics Co. are contending with a plateauing global market after years of breakneck growth, as a lack of industry innovation discourages consumers from replacing devices as often as they used to. Apple also has to cope with the rise of Chinese rivals such as Huawei, which is eroding its share of a market once pivotal to driving its growth. China's top electronics retailers slashed prices on the latest iPhones by as much as 20 percent in past months -- an unusual move that illustrated waning enthusiasm for Apple's gadgets. Huawei shored up its lead after unit shipments soared 23.3 percent, leading all major brands, according to IDC. That's despite grappling with an unusually turbulent few months during which its finance chief was arrested on allegations of bank fraud, and the U.S. marshalled its allies to try and block the company from selling next-generation networking equipment.